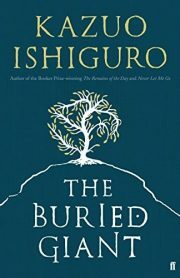 Ah, Kazuo Ishiguro’s 2015 novel The Buried Giant: true literature or merely fantasy? The author seems worried that readers might be misled by the setting (medieval kingdom, bandits, ogres, dragons, and magic) and mistakenly believe that this is a fantasy novel. Such are the travails of a literary author. Post-Roman Britain: the Empire has receded and a seemingly endless wave of Saxons has poured in, pushing the Britons back across the island. These tumultuous events hold little relevance for elderly couple Axl and Beatrice, who are a lot more concerned by the fact that their community no longer trusts them with candles, lest the pair burn their home down. Vexed, Axl and Beatrice set out to find their son, who they are pretty sure lives in a village near by, on the other side of a mist-filled landscape populated by bandits, ogres, and oh yes, the dragon.